This book chapter introduces critical gameplay design as a technique for creating digital games that offer alternative play. Critical gameplay provides the opportunity to explore game ethics through the way games are designed to be played. Since game designers outline the rules of play, game designs outline designer’s definitions of what is ethical and important. 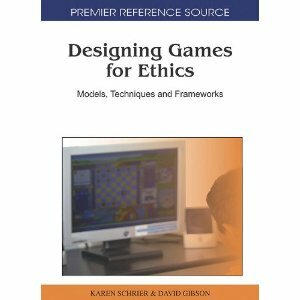 Taking the notion that design is a reflection of the designer’s values, this chapter outlines methodologies for exposing the intrinsic values in play and creating gameplay models from alternative ethics and values. The chapter concludes with examples of critical gameplay games that have been demonstrated to international audience. Software is philosophical. Software is designed by people who have been influenced by a specific understanding of the way objects, people and systems work. These concepts are then transferred to the user, who manipulates that software within the rules set forth by the software developer. The use of these rules by the designer reinforces an understanding of the world that is emphasized by the software they use. The designer then produces works that mimic these same philosophies instead of departing from them. The three axis of these philosophies are analogy, reductivism, and transferred agency. . .
Explores the recent growth in critical gameplay, an application of critical design to the production of computer games. 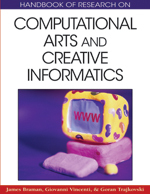 This paper outlines play pedagogy and game rhetoric, relating critical design practices to the creation of computer games. It attempts to explain the art practice of critical game design, providing a brief digital game history and identifying prominent creative works in this relatively new space. This paper approaches the question about games as art from a fundamentally different perspective. Instead of asking questions of visual aesthetics and pursuing analogies to film or commercial arts, it demonstrates an even clearer analogy to poetic forms. Allying common practices in independent games in particular, this paper serves as an illustrative demonstration of the poetics of game design, emphasizing the poetic properties of independent game designs. It frames game design in terms of the rhetorical devices used to create an experience. Such framing is useful to independent game designers, developers of persuasive and critical gameplay, and archivists seeking an effective way to catalog digital games that is driven by structure instead of subject or play mechanic. This paper discusses the critical gameplay design project and its newest developments. 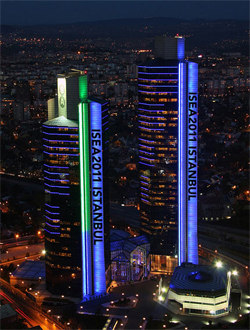 After being exhibited in five national and international venues in 2009--2010, the project has been reconstituted with 3 new games that critique specific aspects of standard gameplay. This short paper reflects on the experience of the exhibition and the design heuristics gathered from them. The paper discusses the three axes of creating Critical Gameplay Games, content, process and scale. It is provided as a resource for researchers making polemic games, including but not limited to persuasive games, advergames, and critical gameplay. 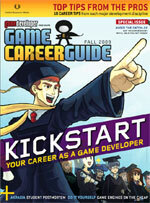 It is also useful to people involved in game jams or other intensive, time restricted game-making activities. The computer game software with which we interact on a daily basis not only entertains us, it trains us into specific patterns. Critical Gameplay is a design practice which endeavors to expose and redesign the patterns to which standard gameplay subscribes. The ongoing project seeks to identify the dominant values, philosophies and problem solving models reinforced by computer games and provides prototypical alternates to those standards. Offers a framework for the philosophical evaluation of software designs. The task, as described, involves the systematic decomposition of assumptions and intended use as they effect the creative process. This research combines the established multidisciplinary examinations of critical design, post modern philosophy and creative process theory to define an innovative means of decomposing the effects of digital technology on creative production. The research takes case studies in creative writing and digital image production to demonstrate how the philosophical study of software design illuminates developer implied paths to production. Just as the design of a city directs pedestrians and cars, the design of software directs its users toward specific ends. 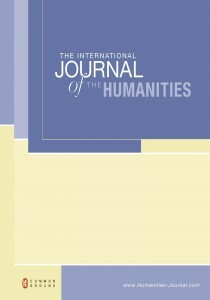 A structured analysis of these implied paths, informed by critical examination through the lens of a variety of humanities (e.g. philosophy, social sciences, et al.) can yield engaging observations about the ways problems are solved with software.